We publish our magazine once a year at the end of the spring semester. We start accepting submissions as soon as possible with the deadline falling on January 11, 2019 for this year’s edition. We accept multiple submissions per person. Please submit written works in word format. Prose10,000 word limit. 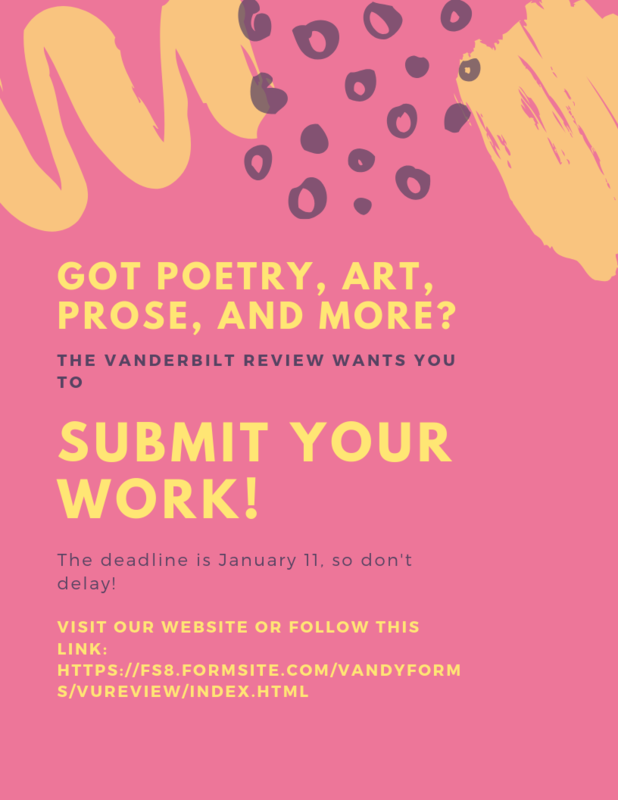 Click this link to submit your work!